With only five SSE Airtricity League First Division games remaining Galway United travel to the banks of the Boyne to face Drogheda United in a crucial encounter tomorrow, 7.45pm kick off. 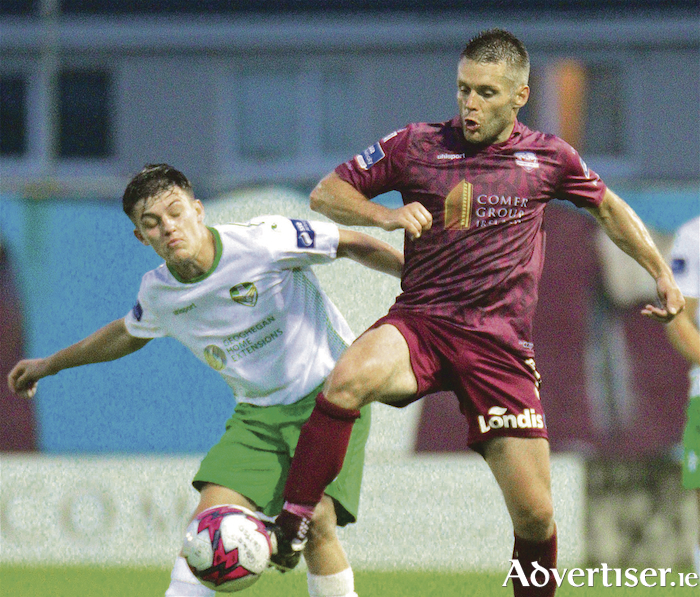 The United Park clash carries huge importance for Alan Murphy’s outfit, who claimed a 3-2 win over Cabinteely at Eamonn Deacy Park last Friday. Eoin McCormack and the in-form Conor Barry, who bagged a brace netted for United during an eventful encounter. Ultimately it means Murphy’s charges have recorded three wins in his opening four games in charge and assistant Mark Herrick was pleased that the home team prevailed. United climbed to fifth in the table and are currently four points off a play/off position with McCormack’s first minute goal providing an ideal start when Cabinteely visited the west. Barry, who has been one of United’s most consistent performers during the campaign, subsequently added a second with Herrick emphasising the manner in which United put Cabinteely under duress. “Great goal; stuff we have been working on in training, pressing,” Herrick added. “We dispossessed them in their own half and the ball was in the back of the net soon after that. It is nice to see some of the stuff we are discussing and working on in training come off. “Of course Conor still had to ping one in from 25 yards, but at least the press, putting them under pressure in their own half worked to some degree. “Our intention was to move the ball a little bit quicker and we carved them open quite quickly. We had the lions share of possession in the second half, but we still didn’t kill the game. Teenager Christopher Horgan, captain of the United Under 19s, made his first start for the seniors which brought further satisfaction according to Herrick. “It is testament to the work the club has done with the underage system to see these lads coming through,” Herrick admits. “It is fantastic. Chris - his family have done very well for this club - he has a smashing attitude. Besides having great ability having a great attitude makes a big difference, he has showed that he has the desire and deserved his place. “Unfortunately Adam Rooney missed out, but again another lad with a really bright future, who has come through the underage system. It was lovely to give Wilson (Waweru ) his opportunity, albeit late in the game.